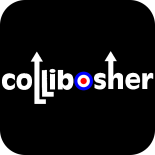 HOME | Collibosher | Putting the fun back into live music! A little treat from our rehearsal yesterday (24th July 2016). Enjoy!